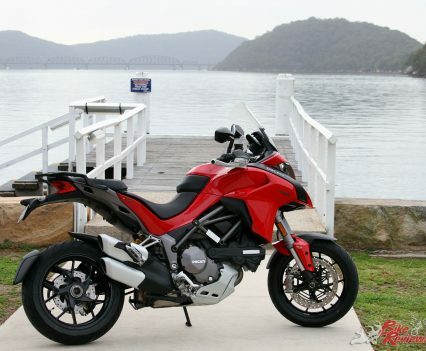 When it comes to the Ducati Multistrada the claims of many bikes in one is actually pretty fair, with the brand’s iconic sports adventurer-tourer offering so much in a single package, a point which quickly becomes apparent when you test the bike through the suburbs, up the freeway and through your local twisties all in one ride, with a bit of dirt thrown in. 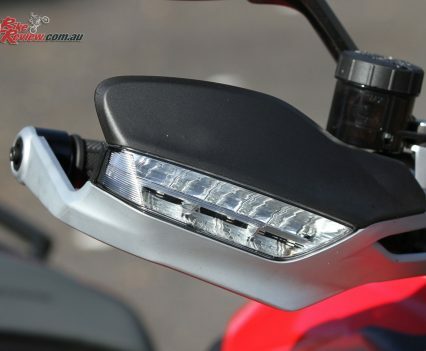 The 2018 Multistrada S has more reserved steering geometry than previously, making it less exciting but more versatile on the roads. 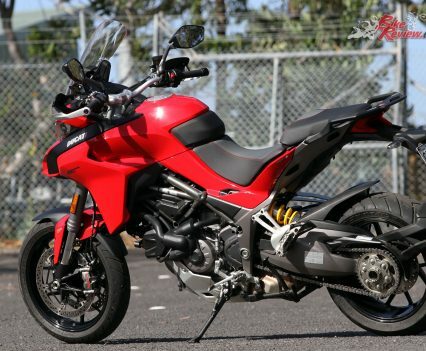 The move to the Testastretta DVT 1262cc powerplant and accompanying changes deliver a smoother and more refined riding experience, with Ducati looking into where in the rev range riders spend the majority of their time and aimed to optimise performance in that area. 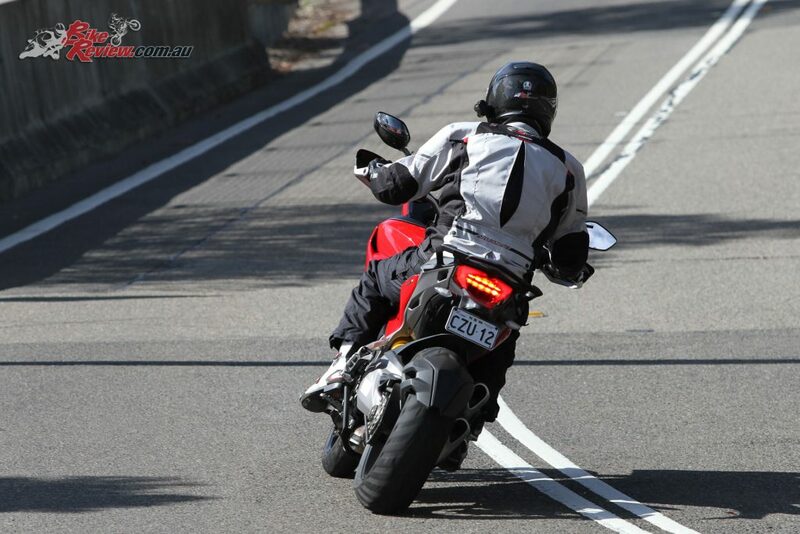 It shows too, with great low down grunt and nice smooth power delivery in Sport or the restrained Urban modes. 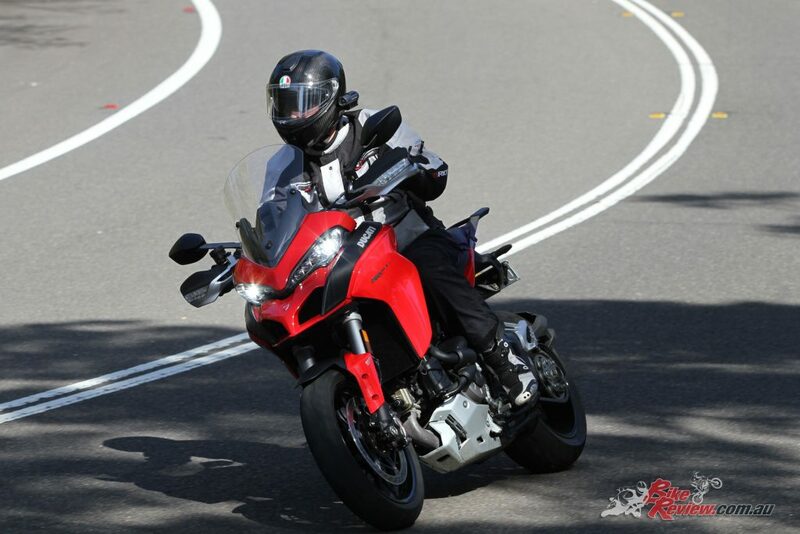 Touring was definitely more ideal for the open road in comparison. 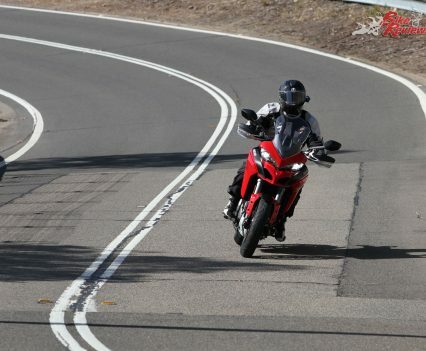 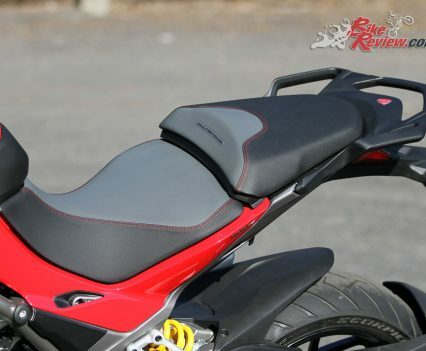 Ducati researched where in the rev range most Multistrada riders tend to ride in and made improvements in that range. 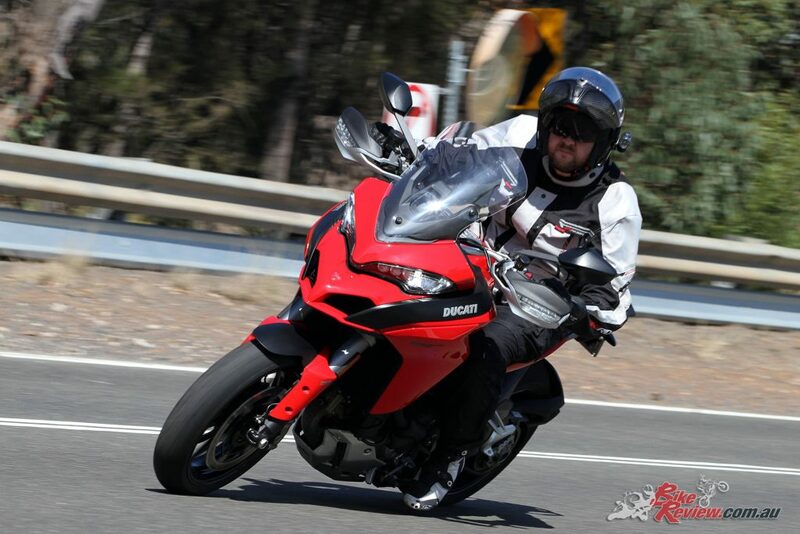 I was also pleasantly surprised jumping on board, for my 180cm height the bike is accessible, and while heavy for pushing around for photos, feels very light and balanced on board and with drive. 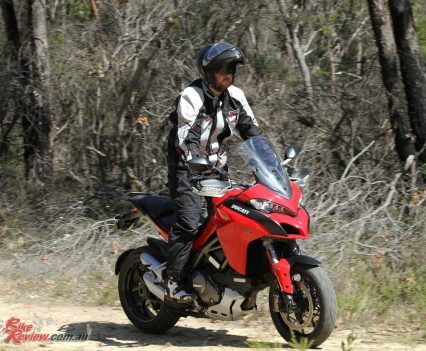 These are big bikes, but they really don’t feel it, which is a good boost to rider confidence. 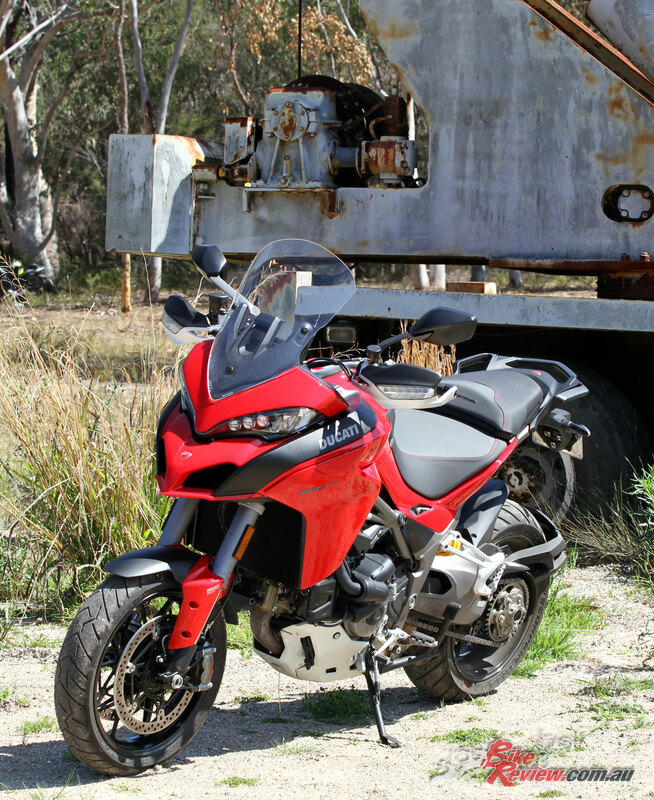 In Enduro Mode the 1260 S loves a bit of dirt road and fire trail exploring. 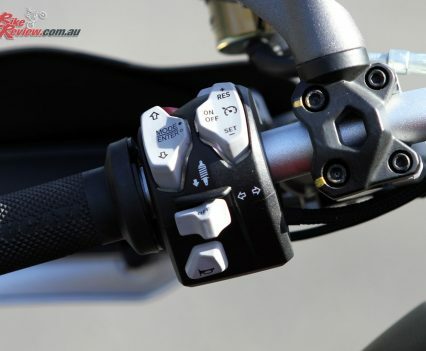 This S version features the Skyhook suspension too, which can be controlled through the dash and offers easy presets for designating how much weight the bike will be carrying. 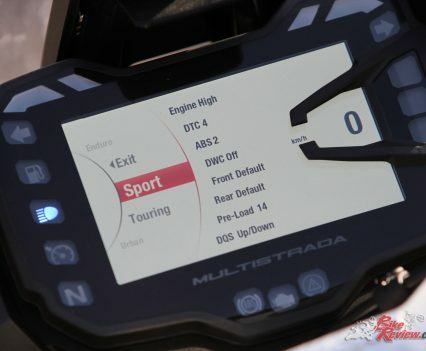 This is the other area the Multistrada has really improved, the user interface (UI) on the dash now clearly explains what settings do with a new colour TFT dash. That means for your regular rider you can go in there and easily tweak all those settings in a way that’s going to help rather than hinder the ride. Once on the move the Multistrada 1260 S feels much lighter than it looks and still handles superbly with the more conservative geometry. 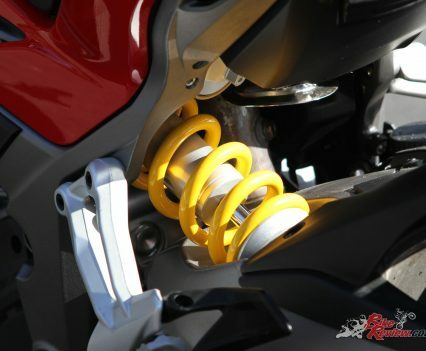 Electronic suspension always offers a different feel than traditional setups and while it took a little time to get used to it, performance was good on standard preset settings for both sports riding through the twisties and mixed conditions. Over sharp big bumps there was an audible noise from the rear end, which turned out to be the centre-stand and had me perplexed at first. 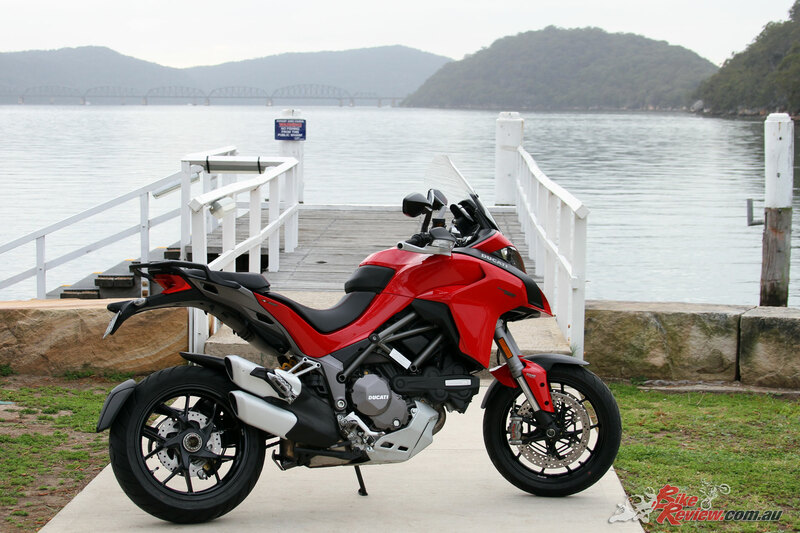 Generally styling and finish quality are amazing, as you’d expect from Ducati, and the Multistrada 1260 S to my eye is a sporty machine that’s hard to top in the premium touring/adventure-touring segment in the looks department. 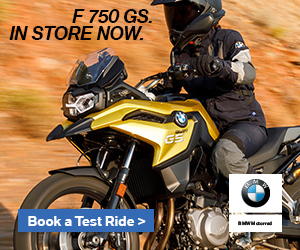 Add 15,000km/12month service intervals, Brembo brakes, adjustable screen, the extensive electronics package and you’re on to a winner. 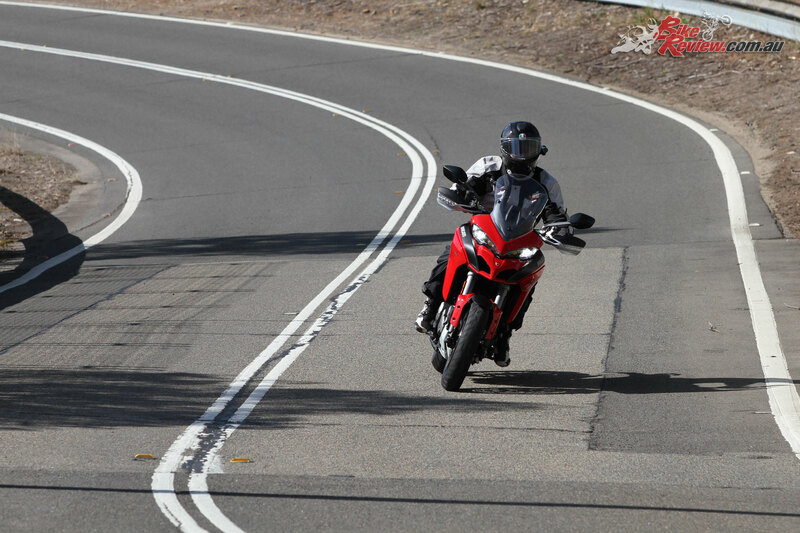 Carving up the twisties in Sport mode is a blast. 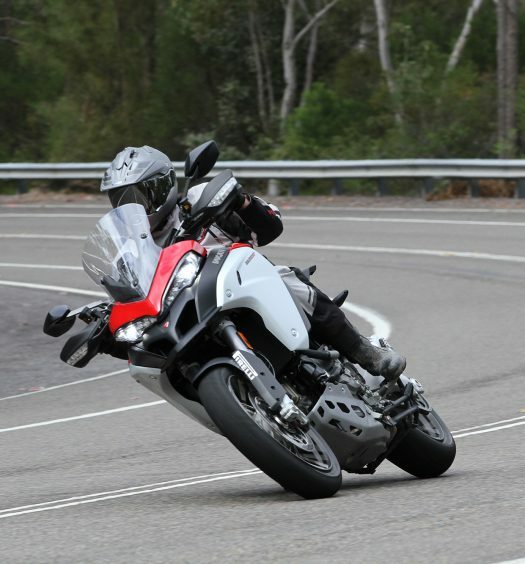 My only criticism was that the quickshifter seemed very clunky, and getting into neutral could be difficult at the lights, but those are two small negatives on a great machine. 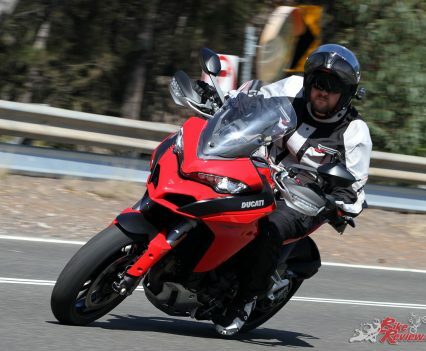 The price is the other consideration, as the regular Multistrada 1260 is a premium model and the S even more so, it’s the price you pay for a Ducati, they are a top spec bit of kit and not a budget bargain bike – Kris. 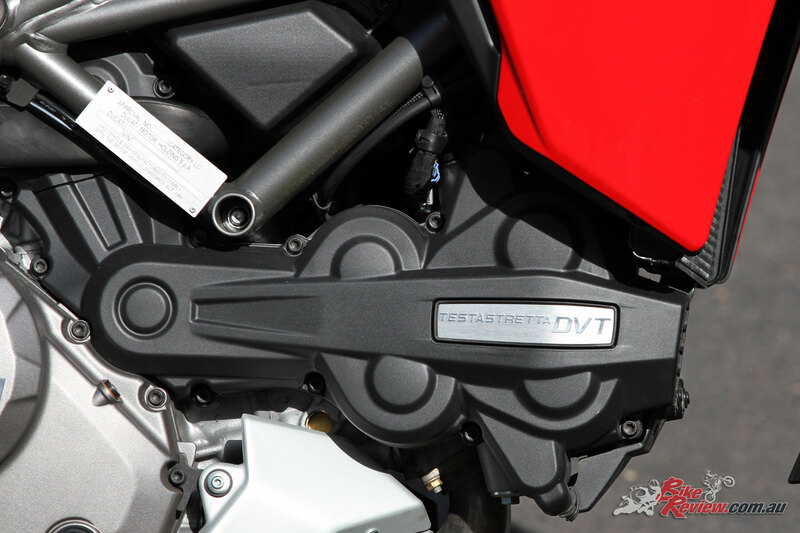 The DVT Testrastretta Dual Spark engine introduces a number of enhancements, including increased torque and the combination of new technology from the 1262cc Superquadro engine. 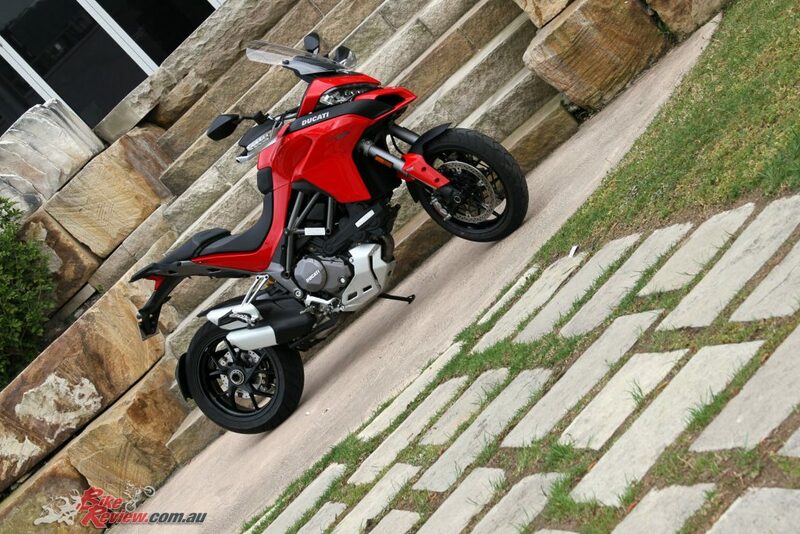 The Testastretta 11 L-Twin four-valve per cylinder Desmodromic engine is 1262cc thanks to a bore and stroke of 106 x 71.5mm. 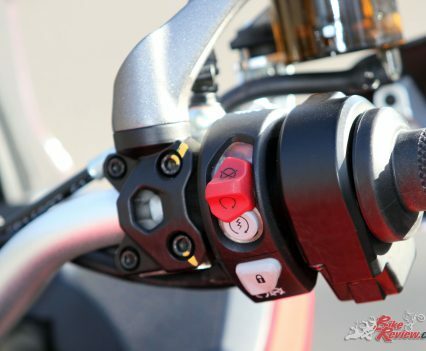 Bosch EFI works in conjunction with 56mm elliptical throttle-bodies and the Ride-by-Wire to provide control at the throttle from the rider. 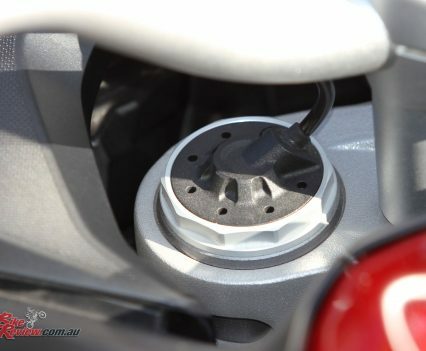 A secondary air system optimizez fuel mapping allowing smoother cycle-to-cycle operation, while the fuel injectors spray directly onto the rear of the hot intake valve, rather than onto the surface of the intake port wall, enhancing vaporization. 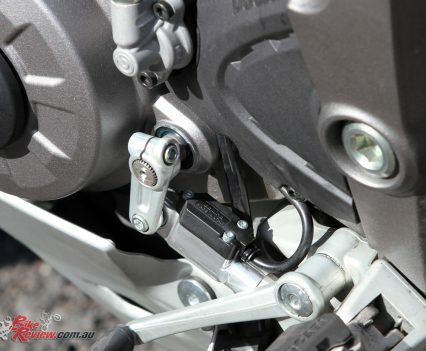 A oil bath clutch is also featured, with a progressive self-servo mechanism providing a slipper function on over-run, while under drive from the engine it assists in pushing the clutch plates together, allowing lighter clutch spring rates for a lighter clutch action. 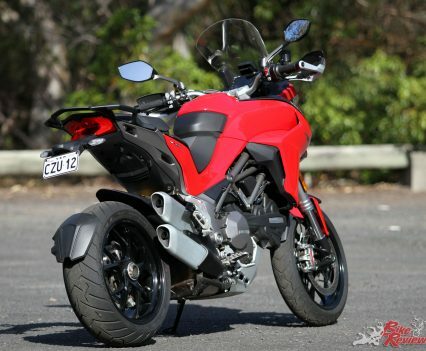 By independently varying the timing of the camshaft that controls the intake valves and the camshaft that controls the exhaust valves, the DVT engine optimises high-rpm performance to provide maximum power. 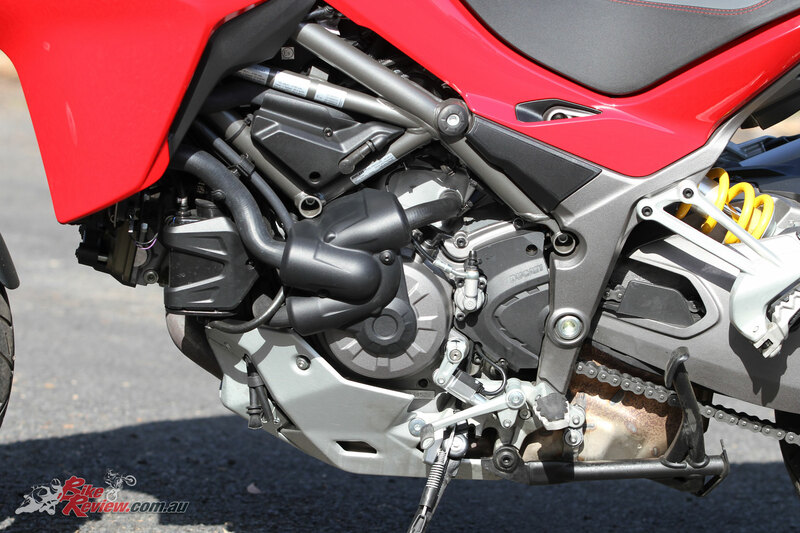 At low-to-medium rpm, instead, it smooths operation, making power delivery more fluid and boosting torque. In practice, this is an engine that changes its characteristics as rpm varies while complying with Euro 4 specifications and giving good fuel economy. 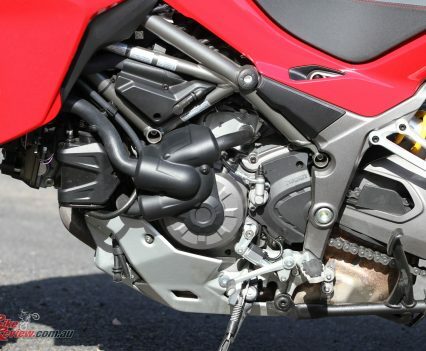 Variance of the valve overlap angle has been achieved by adopting a valve timing adjuster applied on the ends of each of the two overhead camshafts. 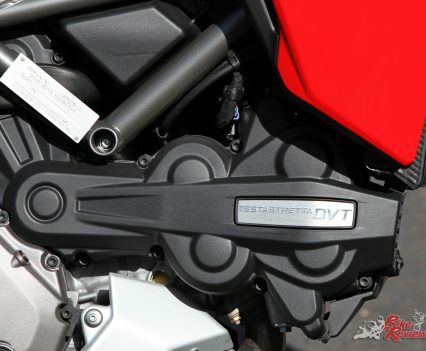 The DVT system is divided into two parts: an external housing rigidly connected to the timing belt and an internal mechanism connected to the camshaft. 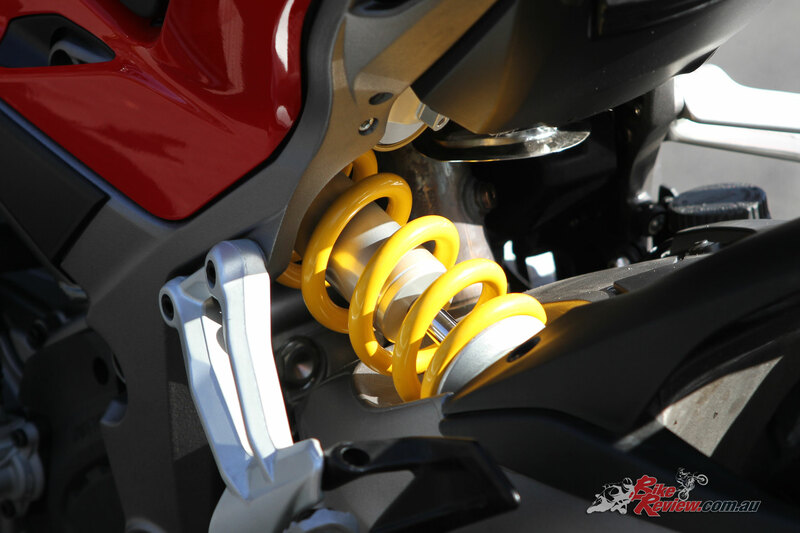 The latter is coaxial to the former and can rotate in advance or delay with respect to the housing depending on the oil pressure in special chambers. 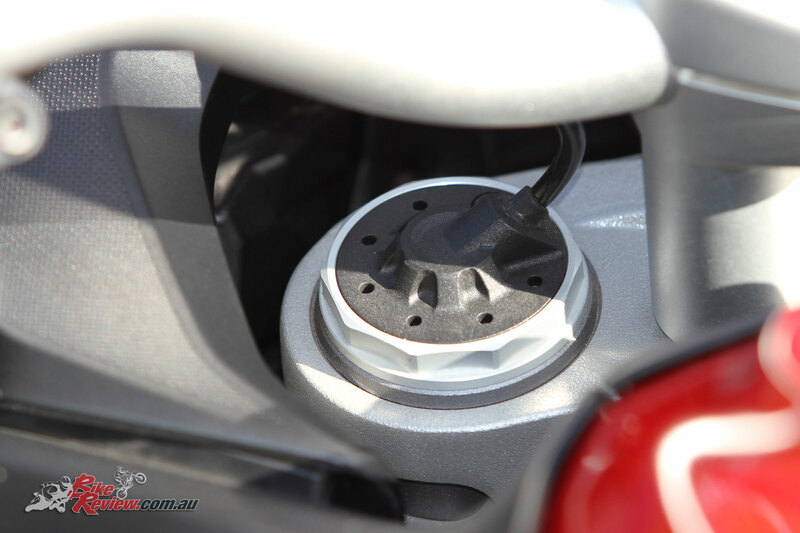 This oil pressure is adjusted by dedicated valves and the timing of each cam is controlled dynamically by a sensor in the cam covers. 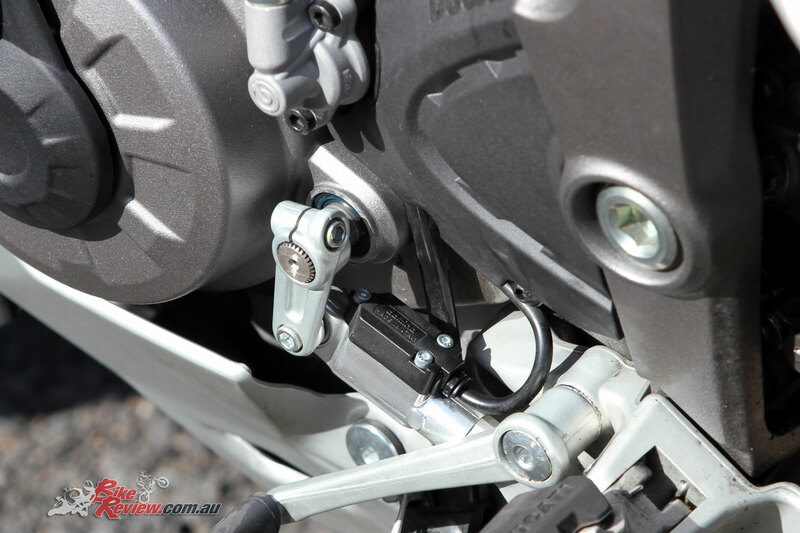 The Trellis frame is made of large-diameter light-gauge tubing with two central cast aluminium sections and a Trellis rear frame for torsional rigidity. 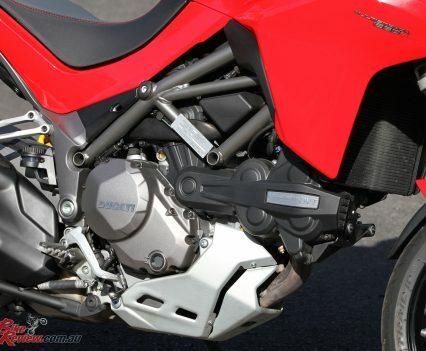 A high pressure die-cast magnesium front sub-frame also reduces weight and assists in maintaining feel and control with the bike’s chassis geometry, which allows lean angles of up to 45 degrees. 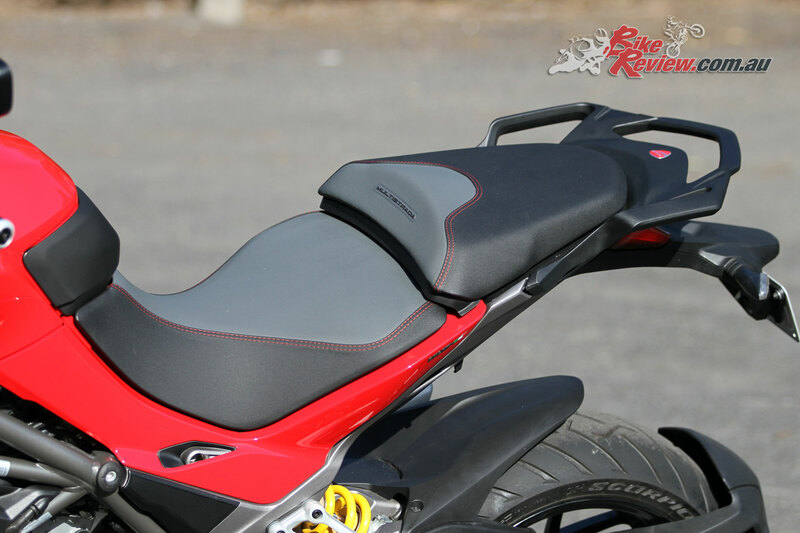 The rear single-sided swingarm is a chill-cast single piece with four bonded cores for both optimum looks and functionality. 48mm KYB USD forks and Sachs single shock feature and the Multistrada also benefits from five Y-spoke alloy wheels with a 3.50 x 17in front and 6.00 x 17in rear. 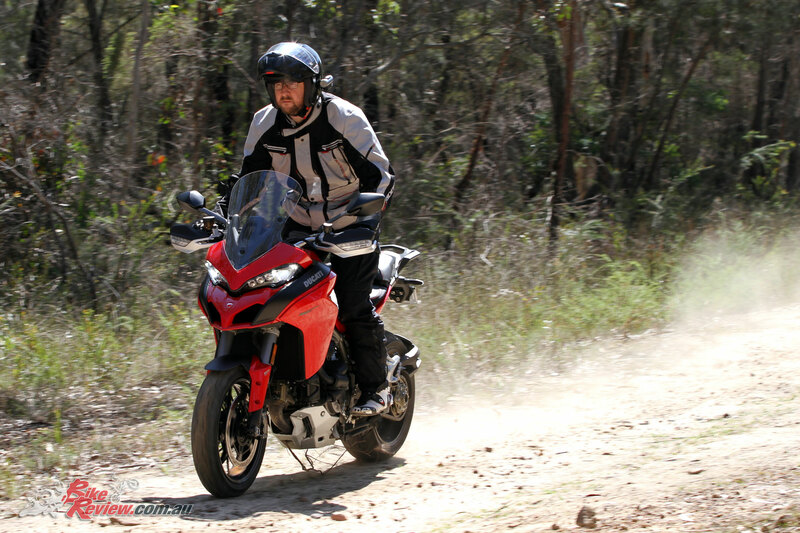 Pirelli Scorpion II Trail tyres are also used. 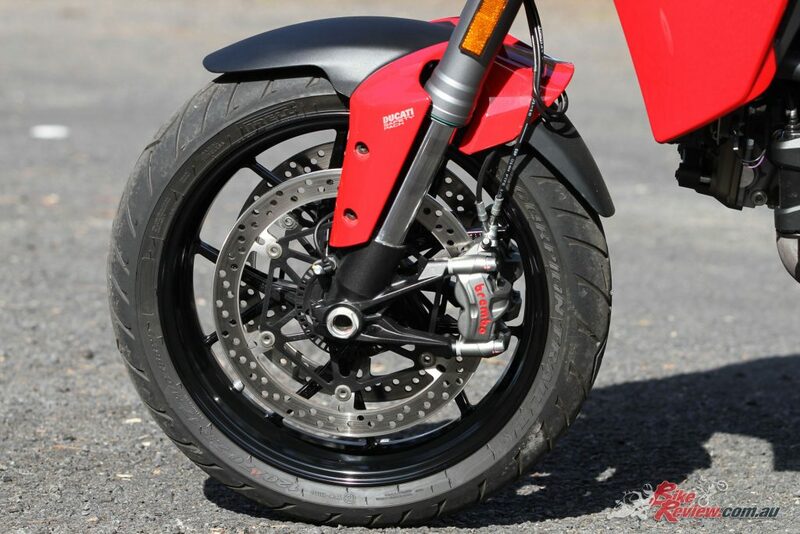 Braking is taken care of by radial four-piston M50 Evo Brembo calipers and 330mm rotors on the front with radial master-cylinders and adjustable levers, while on the rear a single 265mm rotor is grasped by a Brembo caliper. 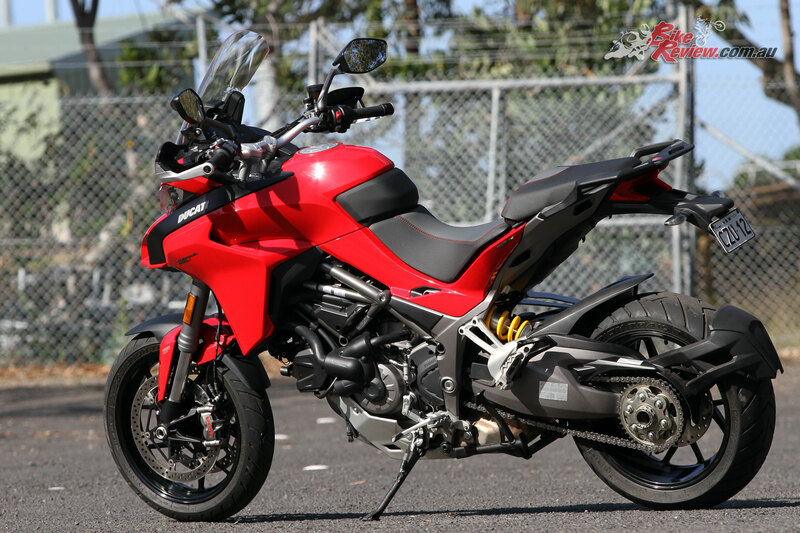 The Multistrada 1260 S boasts impressive electronics, including Ducati Traction Control and Cornering ABS thanks to the Ducati Safety Pack. 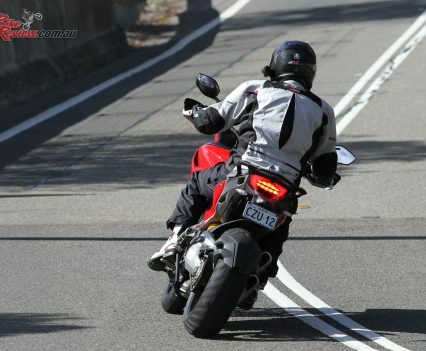 Ride-by-Wire and DVT. The ABS system is a Bosch ABS 9ME system with Brembo brakes, including a combined front-to-rear braking mode in levels two and three, while level one removes lift-up detection and enables rear end drifting, with front only ABS. 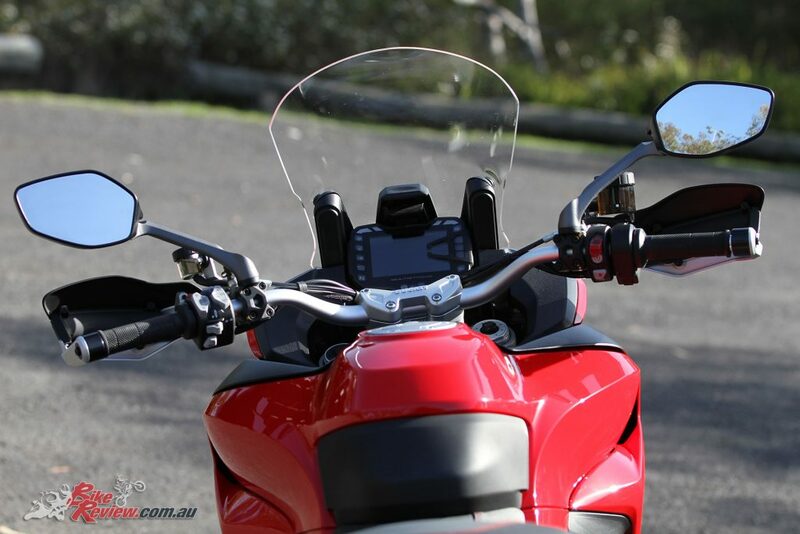 The ABS system can also be disabled. 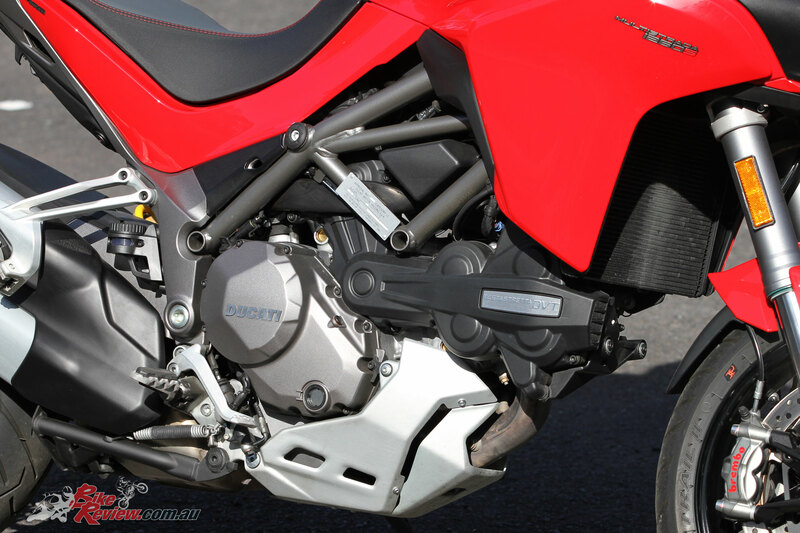 The Ducati Traction Control system features eight levels of adjustment, with varying levels of rear wheel spin tolerance. 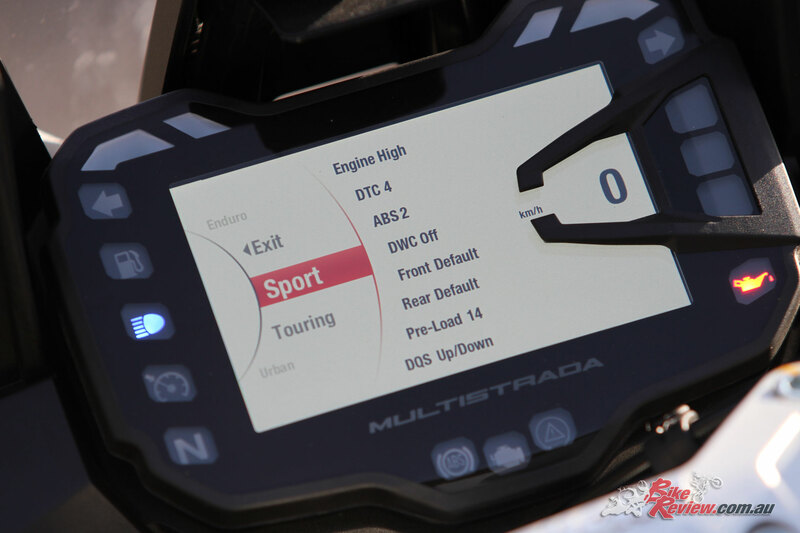 The DTC is integrated into the Riding Modes with pre-set settings which can be modified. 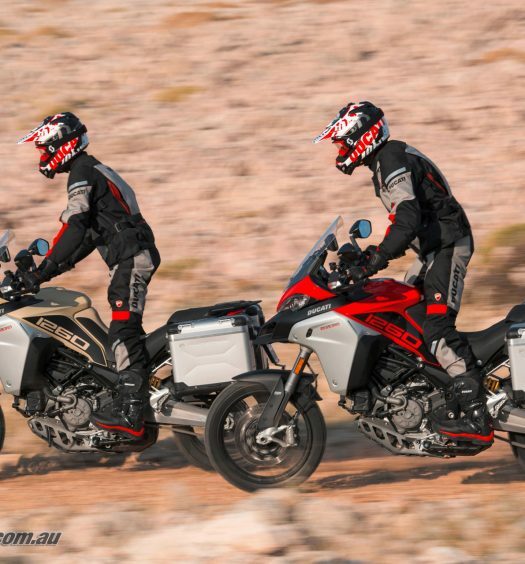 The Ride-by-Wire provides three maps that regulate power delivery, with a Sports delivery map, a full power progressive delivery map and a 100hp progressive delivery map, with the latter designed for urban or off-road use. 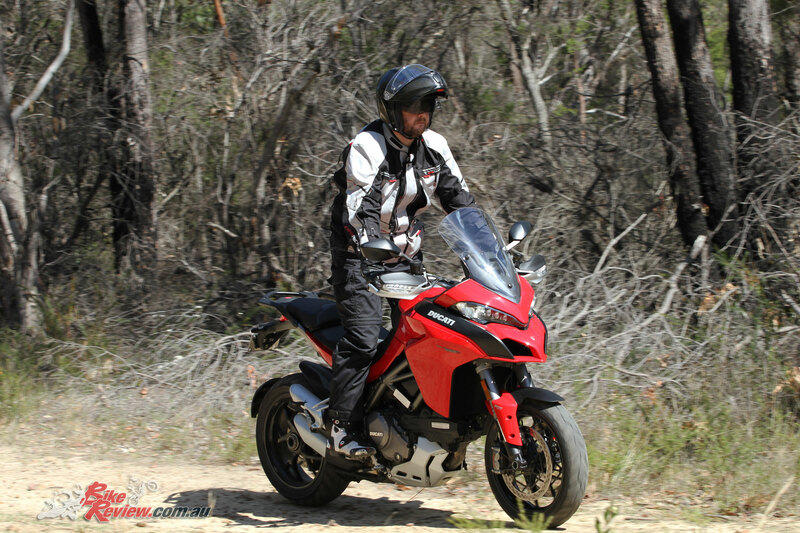 The Riding Modes – Sport, Touring, Urban and Enduro feature pre-set settings of all of the above settings but can be further customised to the rider’s demands. 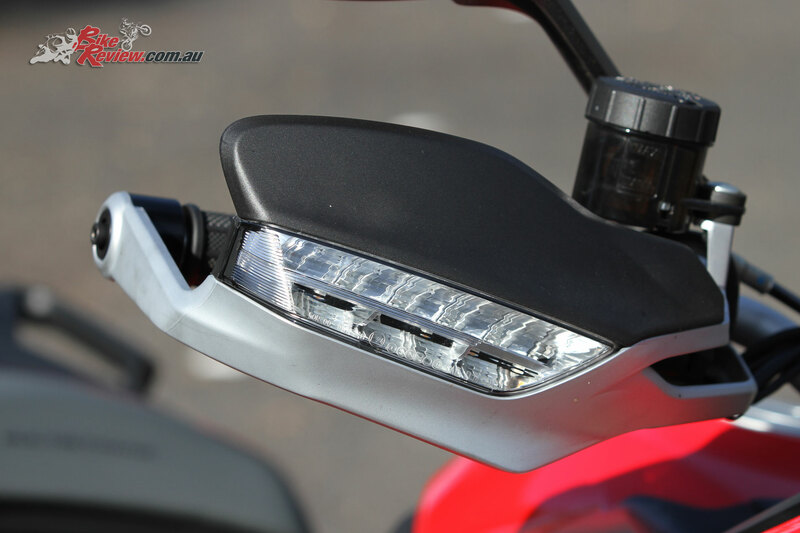 LED cornering headlights and hands-free ignition are also features as well as a full colour TFT dash display. 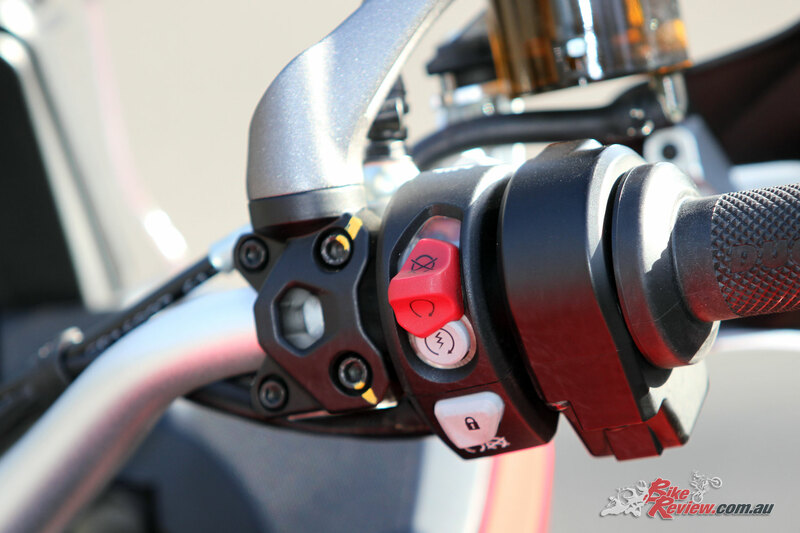 The switches are backlit and the bike is anti-theft ready. 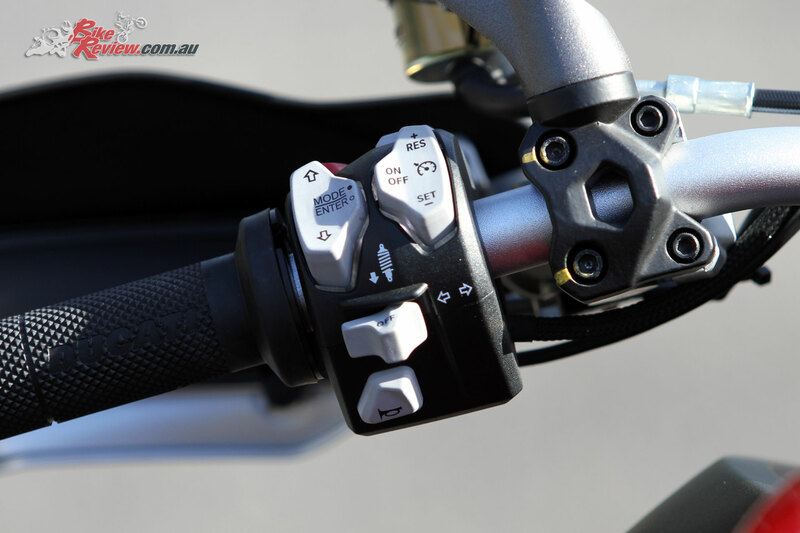 It also has self cancelling indicators, cruise control, and even vehicle hold control (VHC). 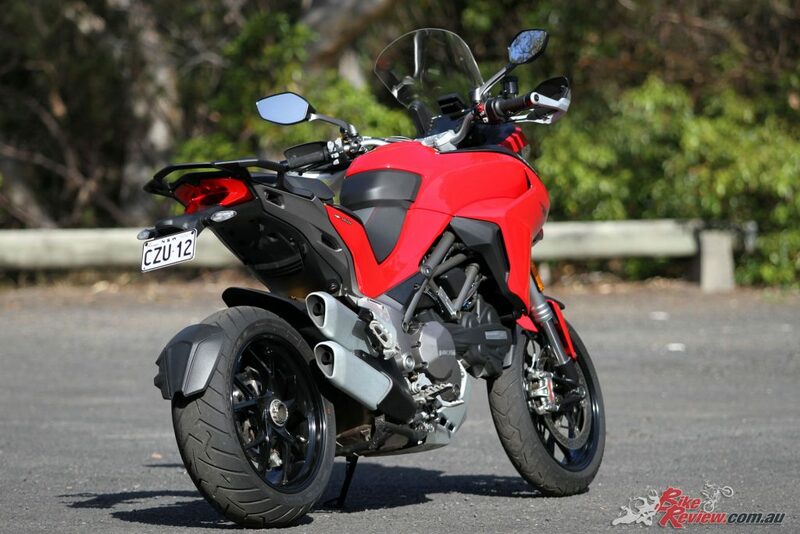 A huge range of individual accessories and packs are also available, see the Ducati.com.au website for a full list.